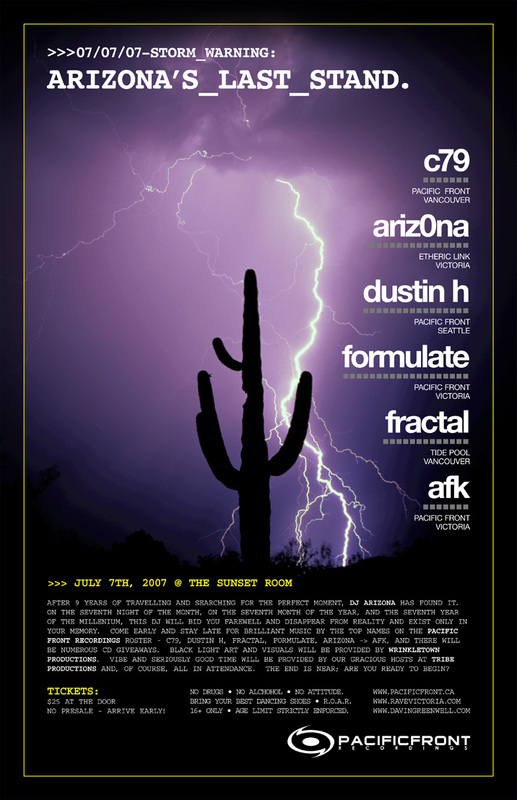 storm warning: ariz0na’s last stand – 07/07/07. Tempting, very tempting. Even if it’s just to see you disappear from reality, that is a trick I don’t want to miss. It would make GOB jealous. sounds like a great night – have it off! What’s this I hear about you trying to disappear for 9 years? Are you and the music disappering or is Ariz0na Disappearing?